For some people moving home is incredibly stressful. But it doesn’t have to be. In fact if you do a little bit of pre-planning moving can actually be fun and exciting. And if you can follow the top tips below it can be a smooth, hassle free process that you might even want to do again! Santa Claus delivers presents to billions of kids around the world. How does he get it right every time, all the time? He has a list. And he checks it twice. Moving home isn’t all that different. You need a comprehensive list of all the things connected to your home. Write them down. Then check it. Twice. The list should include every single service provider you have. That means gas, electricity, internet, pay TV, TV licence and water. You’ll also need to list down all the different bank accounts, credit cards, loans, insurance providers and other financial accounts you have (remember to only list who they’re with not the account numbers in case you lose the list!). All these suppliers are important on your list because you’ll need to change the addresses for them all. And even then there will be something you’ll likely forget. Just to be safe also use Royal Mail’s redirection service. For a small fee Royal Mail will redirect any mail from your old address to your new address for a period of time. It’s one of the best services Royal Mail provides. Next most important thing to do is use your list to make a timeline. This might be on a large piece of paper you stick to the fridge. It might just be a spreadsheet on the computer. Either way set out a timeline for the move. Put down the day you’re moving out and work backwards from there. Ideally (and surprisingly) you’ll probably need about three to six months lead in time to make sure you get everything done with as little stress as possible. The timeline should include the dates you need to notify your service providers that you’re moving. For example if you have Sky TV you should give them at least a month’s notice that you’re moving. If you aren’t going to keep it at the new place it will take a month to cancel. Same thing with energy providers. You should give them at least a month notice. It might be overkill but this step will at least give them a chance to tell you of any problems moving might have. The timeline should also include areas of the house you need to pack. For example you might pack up the garage at week one and the kitchen at week eight. But if you spread it over a few weeks you won’t be running around like a crazy person on the day of the move jamming things into boxes. 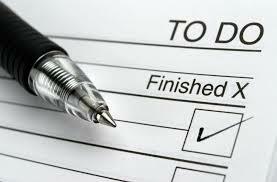 Finally don’t forget to cross things off the list once they’re done. Pack progressively. Using the timeline pack parts of the house over a number of weeks before the move. Start with the things in the house you use the least. And finish with the things you use the most. One of the biggest and hardest rooms to pack is the kitchen. You could even split the kitchen packing up over a week or two also. What you’ll end up with is a ‘skeleton kitchen’ where you only have the absolute basics in your final week. And on last day or two, get takeaway. You don’t want dirty dishes or anything left in that kitchen the day before or the day of the move. If you do it right, on the day before the move there shouldn’t be anything left to pack. It should actually be a relaxing day. Also while packing make sure you label, label and then label some more. While you’re putting everything in boxes label everything with detail. Don’t just write ‘Kitchen’ on a box. Be specific, even itemise everything in the box (if you’re so inclined). For example if the box has plates, cutlery and mixing bowls, then write exactly that on the box. This will make things easier for the movers and for you unpacking at the other end. 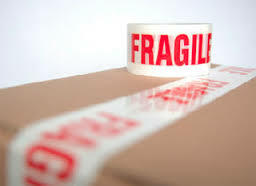 Don’t forget to label things that are fragile too! Whether it’s the ‘nice champagne glasses’ or fine china, if it’s fragile then make it VERY OBVIOUS ON THE BOX. Make sure your stuff fits into the new place. This is one of the biggest traps for young players. People will pack up, move out and then lob in to a new place without even measuring rooms to see if their stuff fits. Using your ‘accurate eye’ will not do the job. Have you got an L-shape sofa? Measure it out. Then measure if it will fit in the new house. Check if it blocks a doorway. See if it can move from a left hand L to a right hand L.
Measure the bed. Will it fit in the new bedroom? It amazing how many times people take stuff from one home to another and it doesn’t fit creating a whole new range of storage headaches. If you find you have things that don’t fit, sell them. Put them up for sale on eBay or Gumtree. And sell them before you move. Not only will someone else give you cash to take them off your hands but you’ll also need to move less stuff and then have some money to buy new things for the new home. You’re all packed. You’ve notified all your service providers about the move. You’ve changed the addresses on all your accounts. The house is now more like a giant storage container than a house. Now you’ve got to get it out and across the country into the new home. There’s only one option here. That’s to use a reliable, reputable and trustworthy mover. Of course make sure you book your professional moving company months in advance. You can’t just spring it on a company the week of the move. When you book in a quality moving company you’ll know with peace of mind they will come in on the big day, load up everything take it to the new place and unload it all without you having to strain a single muscle. With all this set out, the actual day of the move will be the least stressful day of the whole process. You just have to kick back, watch the action unfold and lock up when it’s all said and done. Then you just need to get yourself and the family to the new home. If you follow these top tips you’ll appreciate moving isn’t hard. It isn’t scary. In fact it’s exciting as you’re about to start a brand new chapter in your own book of life. If changing all the bills and utilities as well as sorting out the kids is too much, Fox offer a packing service to help burden the load. We hope you found this article useful, please feel free to add any comments below.